Which Universal Sewing Machine is Best for You? 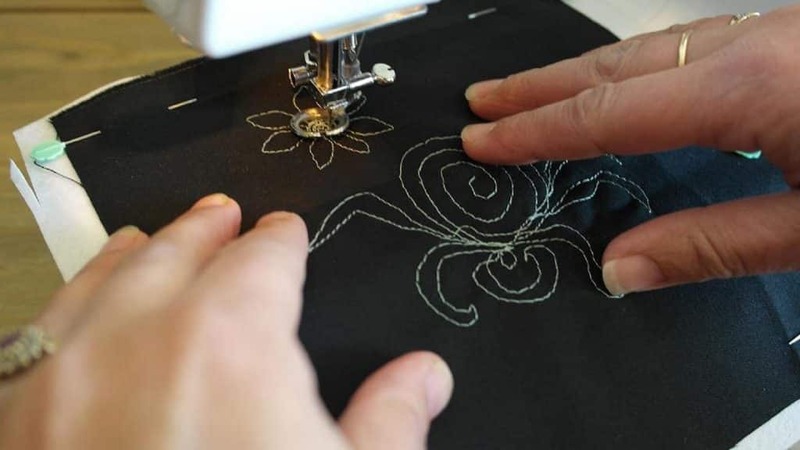 Knowing how to sew with a sewing machine is a great skill that offers you many benefits. It allows you to create unique and customized designs for your clothes, giving you the freedom to wear what you want. It allows you to design crafts for your home to give it a unique appeal. If you get good at sewing, you can also use the skill to create a source of income. Unfortunately, the number of people who show any interest in sewing or altering their garments has decreased in the last three decades. This is probably due to the fast-paced nature of life and the availability of cheap products in the market. Customized clothing has become quite affordable and you could even order clothes online with ease. This had a negative effect on sewing with most people preferring to buy or pay for altering their clothes instead of doing it at home. However, just because the trend is declining does not mean that it will end. Some of the younger generation, especially the millennials show great interest in sewing. It gives them a degree of freedom and autonomy. Doing it yourself is also cheaper than paying a commercial tailor to alter or fix your clothes. With a resurgence of healthy eating and living, it wouldn’t be surprising if sewing also makes a comeback within the population. Sewing is for everyone. Both men and women can get benefits from sewing, so it is a good idea to teach your kids how to use the sewing machine. You can also learn to sew in your spare time and take it up as a hobby. It is never too late to learn and it isn’t even that difficult if you put your mind to it. Sewing offers six great benefits to people. Sewing will help you save money. Getting even the slightest mending or alteration job on your clothing can cost you $5 – $20 dollars for each article or clothing. If you know how to do it yourself, you can save a lot of money. Learning how to sew will allow you to customize your clothes and garments, adapting them to your style and preference. Have you ever had the experience of finding a great dress or shirt in the market that wasn’t your size? Well now, you can just buy it from the store and alter it at home to fit you. Your clothing can get damaged at any time but that does not mean that you should throw them away. If you ripped or damaged one of your favorite shirts while getting off the bus,then you can easily fix it with the help of a sewing machine at home. If the zipper on your jeans is damaged, you can unstitch it and put a different one on with ease. Sewing with the help of a machine is a calming activity. It lets you focus on a single task, improve hand-to-eye coordination, and can be a way to relieve stress. When you complete a project and make something new, the feeling is exhilarating which improves your mental health as well. Learning to sew won’t just improve your clothing. It will also allow you to create decorative pieces for your home, create bags, pouches, and other garment covers for your accessories. Your friends and relatives will definitely take notice when they see the new window curtains or fabric wall-art that you made yourself from scratch. You can also use your sewing skills to make some money by creating gifts, art pieces and clothing for your friends. Not a lot of people know someone who can mend clothes and make unique gifts so your services will definitely be in demand. Before you can create wonderful garments and projects, you would need to get yourself a sewing machine that can meet your sewing requirements. 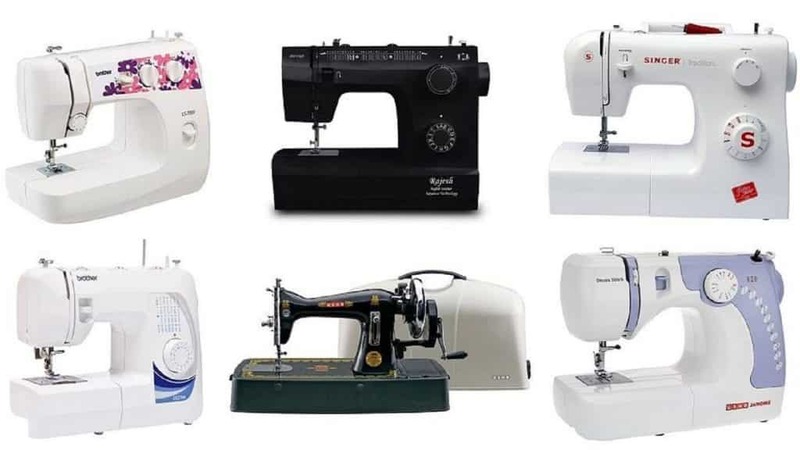 It is important to know the different types of sewing machines that are available in the market so that you can choose the one that meets your specific need in the best manner. Mechanical machines have been around for a long time. They are also known as tailoring or treadle sewing machines. They are operated manually and offer very little features. The only have a single straight stitch style available. These machines are very affordable but don’t have great design. They are good for learning sewing at a low cost. These machines offer more features than a mechanical sewing machine but not complete programmable as computerized ones. Most sewing machines these days are electronic and they are ideal for everyone from beginners to expert users. Electronic machines usually come with a variety of built-in stitch styles. 1-4 step buttonholer, embroidery settings, blind stitching, hemming, zip fixes, reverse stitching, quilting, stretch stitching, and heavy material stitching. These machines are generally more expensive than mechanical ones but they automate many functions for the user, making sewing projects a lot more manageable. These sewing machines are built on advanced technology and give the best level of automation for users. These machines are ideal for industrial or high-volume commercial purpose. Generally, they are capable of going at speeds of 1000+ stitches per minute and can deliver hundreds of projects each day. The machines are quite programmable and can create at least 50 – 100 different stitching styles. Some of the more capable machines can make stitches with more than 500 styles. The machines may also be programmed to download additional stitching styles. Sergers are specialized machines that are used to overlock or create seams at the edge of the fabric. The machines can help join or sew the edges together while leaving a good interlocked pattern at the top. The machines are largely used in the garment industry for edging the fabric. You may have seen the pattern on tablecloth edges, napkin edges, pillow or cushion covers, quilts, and many other types of garments. A serger generally uses 2 – 5 threads to create the interlocking pattern. Using more threads means getting designs that are more intricate with higher stitch strength. These machines are designed for delicate embroidery work and use the low needle size from 8/60 to 10/70. Embroidery is generally carried out in a zigzag pattern, straight lines or crescent-shaped stitches. Many embroidery machines are automated and operate through programmable instructions. This ensures that the design is stitched perfectly and does not deviate from the program. These machines generally have built-in embroidery patterns and more designs can be inserted through a USB interface. Quilting machines are a type of heavy-duty sewing machines that can work with multiple layers of material to create a sturdy stitch. Some quilting machines are capable of stitching up to 6 layers of fabric together to stitch them together. Generally, quilting machines are big and offer a wide opening to let the fabric flow into the machine’s throat. They also have a large, extendable working table to spread the quilt. Most quilting machines only offer a single straight stitching style. These sewing machines are designed to work with thick and heavy fabric to give the best stitching experience. They are ideal for all kinds of thick materials like denim, canvas, suede, and leather. These machines have the power to punch sewing holes through the fabric with ease, offer better stitch length, and can be very quick in completing dozens of projects each day. The machines are typically not very big in size. However, these machines are heavier with stainless steel or aluminum cast iron parts that keep them stable during stitching. Industrial machines are used in factories and meant for large sewing projects. These machines are built with highly durable parts and can generally handle all kinds of material with ease, including leather, suede, and vinyl. Industrial machines are generally larger in size and offer limited stitching styles. Universal sewing machines are all-purpose and general sewing machines that can combine the features from all other types of machines. These machines may not offer the most features and functions or be the best for carrying out a specific type of stitching need. However, they offer enough options that you can use a single machine for all your stitching requirements without having to buy a separate machine for each need. A universal sewing machine is perfect for personal sewing because it works for a variety of sewing needs. You can use it for embroidery and light fabrics or work on heavy material as well. It is usually simple enough to offer quick, straight stitching but also complex enough to allow a number of stitching styles. A universal sewing machine can be used by all kinds of users from beginners and intermediate users to experts with years of experience under their belts. 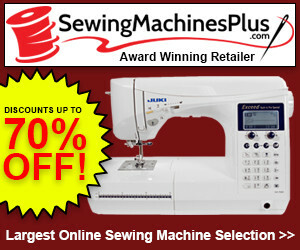 Some of the most popular universal sewing machines that you can buy today include the following. The CS6000i is a great machine that beginners and seasoned users will find equally useful. It can be used for regular sewing as well as quilting multi-layered projects. It has an adjustable sewing speed that goes up to 850 SPM. This model comes with 60 built-in stitching styles that include a variety of decorative, topstitching, and buttonhole styles. You can also create beautiful embroidery with this one without much effort. It is also powerful enough to work with a number of thicker materials. 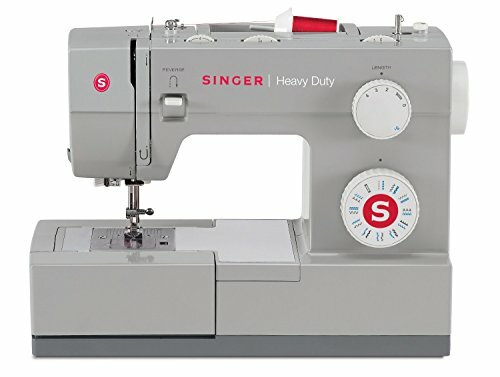 This is one of the best all-purpose sewing machines from Singer. It offers plenty of features for expert users but doesn’t make things too complicated for new users either. The machine has 23 stitch styles, including 12 decorative stitches to provide you with multiple embroidery options. It also includes buttonhole stitches, automatic threading, drop-in bobbin, adjustable presser foot control, and reverse-style stitching. The Singer Heavy Duty 4423 weighs in at 14.5 pounds and has a sturdy metal frame. It has a powerful motor that can generate a maximum of 1,100 SPM. You can use it work on heavy material projects just as easily as lighter materials. The Magnolia 7318 is a top-of-the-line sewing machine that offers plenty of features for users. 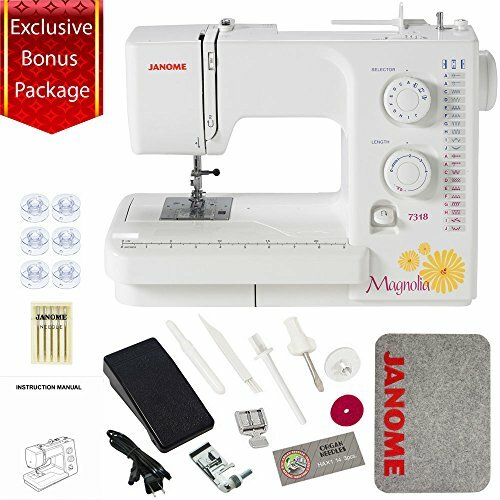 It is ranked as one of the best sewing machines from Janome and recommended for both beginners and intermediate users. This machine offers 18 stitching styles including a four-step buttonholer and decorative stitches. 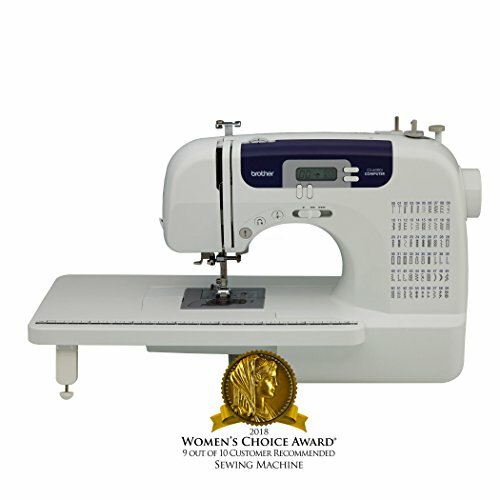 It has a top loading bobbin system with auto winding, automatic needle threader, and reverse stitching. The machine can be used for all kinds of projects including quilting, denim, and leather work. It also includes a stitch length and width adjuster with the maximum length of 4mm and width of 5mm. The XM2701 is a strong and fun machine from Brother that has a cool design, lots of features, and packs quite a punch for its size. 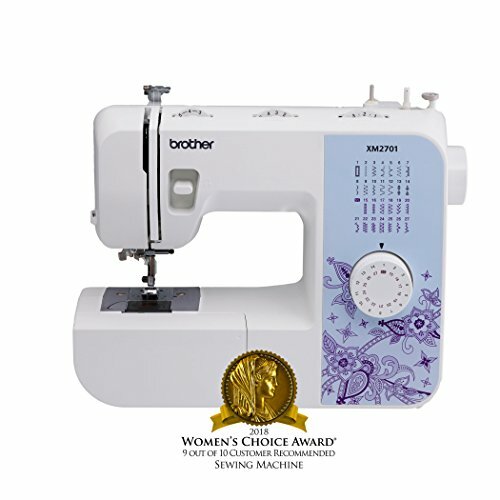 This sewing machine offers 27 stitch styles including buttonhole and decorative stitches. The stitching styles can be adjusted with the help of a single dial and there is a chart just above the dial to make selection easier. It includes automatic needle threading, reverse switch, and easy bobbin drop-in at the top that is jam-resistant. The free arm makes it perfect for sewing sleeves and trouser legs as well as a variety of other stitching projects. The work area has an LED light and the machine is portable at 12.6 pounds. Although they don’t know it, most people are looking for a universal sewing machine. They’re good for most jobs and for most levels of sewers. Any of the above universal sewing machines will make a great machine for the average person wanting to sew at home. Good luck with your purchase.